Our "Cap trough" area is a secured, covered and screened area adjoining the hatchery building. The trough takes pumped water in from the creek and simulates the water flow in a constructed channel. 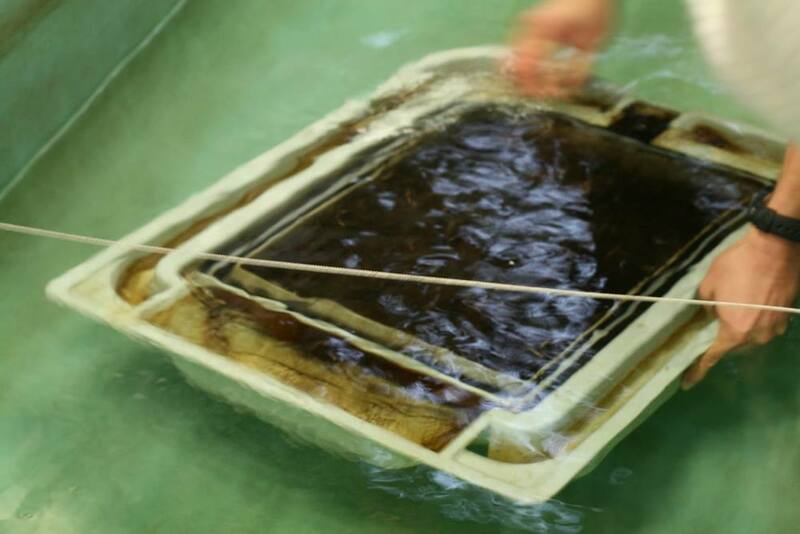 It's used to store any captured brood stock that need to mature before the artificial spawning process in the fall; and in the spring, it becomes home to the salmon fry transferring from the incubation room once they have grown to the "swim-up" stage. 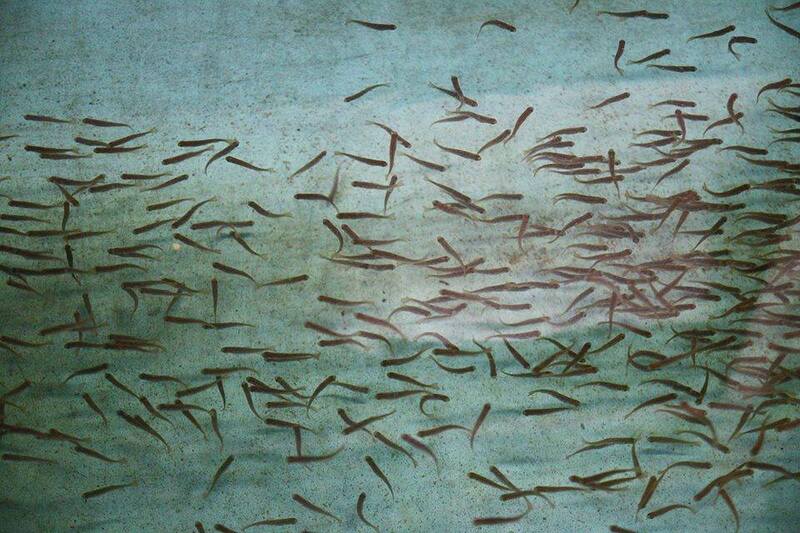 The fry remain in the Cap trough for 2-3 months and move to the Rearing Pond once the smolts are released from it in May during our 'Salmon Leave Home' event. A coho salmon is removed from the Capilano trough, where she has ripened to maturity for spawning. Coho salmon held in the Cap trough prior to egg and sperm take for the assisted spawning process. A society volunteer shows school children a coho smolt over the Capilano trough during a school visit. Fry are fed daily by hand as well as by mechanical feeders. The trough is creek-water fed and is always moving. 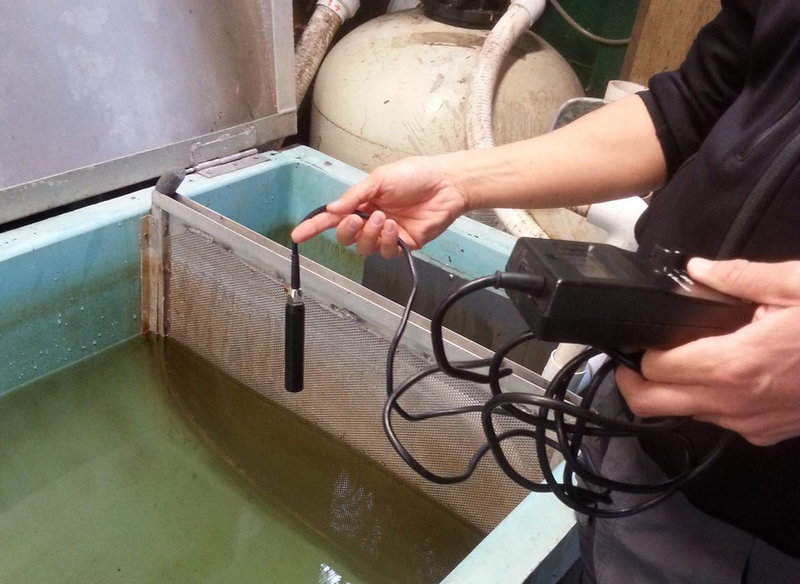 The trough is cleaned daily, and oxygen levels and filters are also monitored.